Bhutan will be importing 10 Gbps (Gigabits per second) of internet bandwidth from Bangladesh. A technical team from the country carried out a survey on the economic feasibility of importing internet bandwidth. Information and Communications Minister D.N. 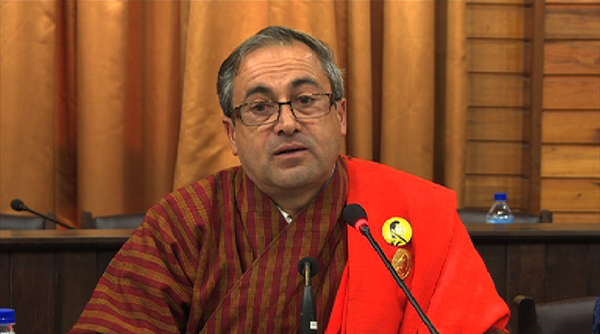 Dhungyel, during Meet the Press yesterday, said the team has identified an economically feasible route to import bandwidth. The government is waiting for the cost estimation, which will be studied by the Indian government. The internet connectivity will have to pass through Indian territory. The technical team has identified the most economical route, which starts from Akhaura in Bangladesh, passes through Guwahati in India and then enters Samdrup Jongkhar. “Despite our effort that we have started two three-years before, we are yet to come to a conclusion because in this particular project there are three countries involved, Bangladesh, India and Bhutan,” said the information and communications minister. According to The Financial Express, a Dhaka based newspaper; a Bangladeshi cable company has offered Bhutan bandwidth at US$ 15 per Mb. Currently Bhutan imports bandwidth paying US$ 52 per Mb from India. The minister added that with 11th plan almost coming to an end, the government has kept it as a flagship project for the 12th Five-Year-Plan.